The Hungary-Korea Society organised a two day event in Budapest on November 9 -10 2016. The first day celebrated the 110th birthday of Ahn Eak Tai, composer of the music now used for the Korean National Anthem, and the 80th anniversary of his first visit to Hungary and meeting with Hungarian composers. There was an exhibition of Ahn memorabilia at Corvinus University, a wreath laying at his statue and a concert in the Grand Hall of the Liszt Academy. 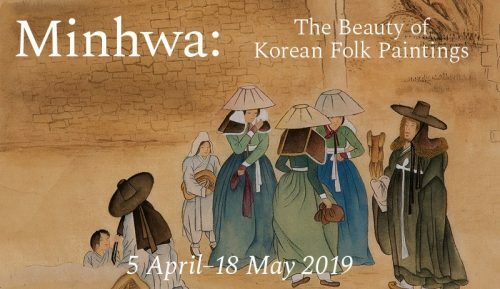 The highlight was a powerful rendition of Ahn’s Korean Fantasy the finale of which is the music of the National Anthem. His daughter, Leonora, was present for the two days. 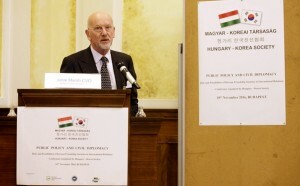 The second day was a conference on Public Policy and Civil Diplomacy and the role of Korean friendship societies. 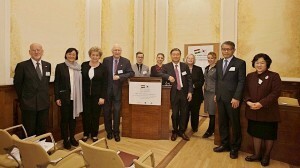 Following welcome and keynote speeches including from the Korean Ambassador, the Korea Foundation, Hankuk University and the Ministry of Foreign Affairs and Trade, representatives of the Korean Societies in Germany, the Czech Republic, Bulgaria, Hungary and Britain and from Keimyung University in Daegu made presentations about their work. There is no Korean Society in Poland so a representative of the Adam Minckiewicz Institute (like the British Council) spoke. This is the 50th anniversary of the German Society. The others were formed after the fall of the Soviet Union as up until that time the member countries had relations with the DPRK. The Bulgarian Society was formed in 2014. Generally speaking, the younger the Society, the younger was the representative. In conclusion, we noted that all Societies faced similar challenges with membership and funding; and agreed to consider further cooperation. The two days ended with a dinner of Korean “fusion” food at the Residence of the Korean Ambassador. Unsurprisingly, he was interested in Brexit as well as the work of the friendship Societies. My participation was generously supported by the BKS and the HKS.